It's here! 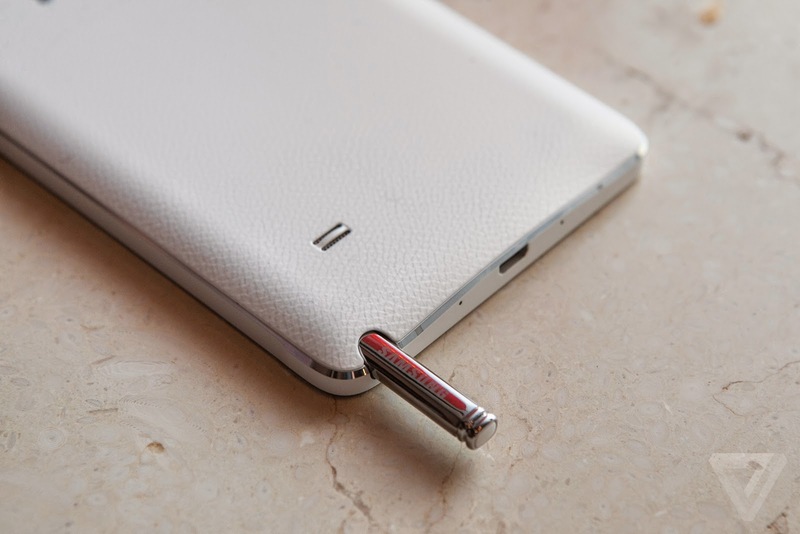 The latest device of the phablet series from Samsung "Galaxy Note 4" was just announced at IFA 2014 with "Note Edge". This year's devices packs a 5.7 inches AMOLED display, just like its last model, but this time it is a Quad HD resolution giving 2560x1440 pixels (515ppi) which should make for a huge improvement on sharpness, a big difference from last year's Note 3 which had 1920x1080 pixels (388ppi). ppi ~ pixel-per-inch. Samsung added few new features this time to the phablet, one of them allows an app to be shrunk down into a smaller window that can hover overtop of another app and still be used and also apps can be put into a split-screen view (two apps in split screen). A noticeable change to the Note 4 is the metal band wrapping around its side, which looks like the recent Galaxy Alpha smartphone. Samsung kept the faux-leather style on the back, but the small changes go a long way to making this new Note look much better than the last device's. 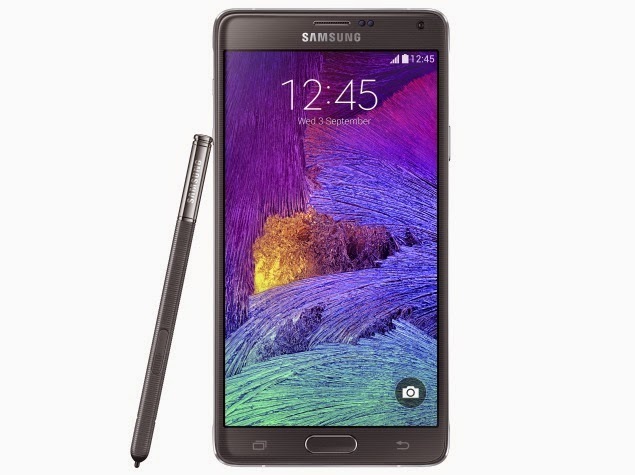 Note 4 will be available in black, white, pink, and bronze while the S Pen also available with the device allowing the phone to be controlled with a stylus. 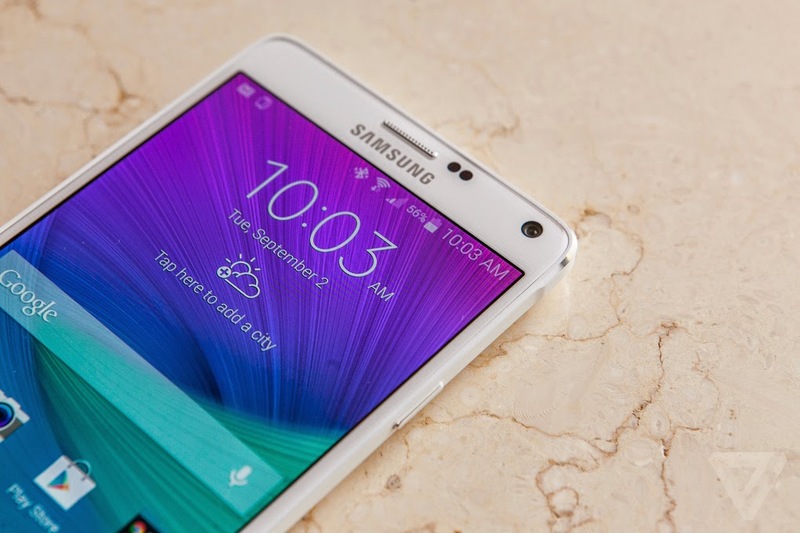 Samsung says that the Note 4 has double the pressure sensitivity of the Note 3. Lets go over to the tech page of the device were there is a 16-megapixel rear camera with image stabilization and a 3.7-megapixel front-facing camera. 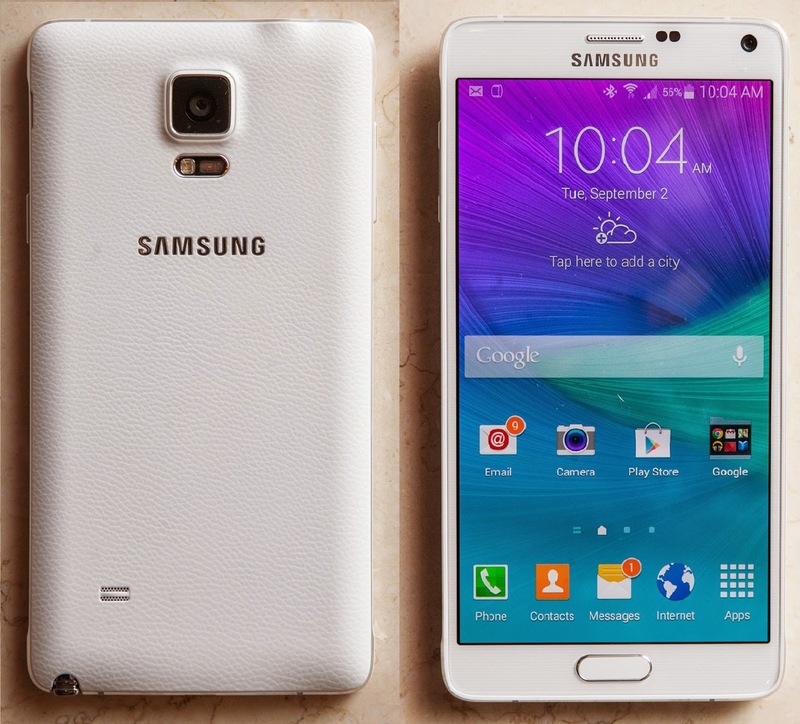 This new Note also includes a heart-rate monitor and a fingerprint sensor like the ones added to the Galaxy S5. The phone comes with a quad-core (Snapdragon 805) clocked at 2.7GHz and octa-core (Exynos 5433) clocked at 1.9GHz and 1.3GHz processor versions, 3GB of RAM, and 32GB of storage that can be expand through MicroSD. The phone will be runing Android 4.4.4 KitKat. All these are powered up by a 3,220mAh battery which is said it can charge from zero to 50 percent capacity in just 30 minutes. Lastly Samsung has dropped USB 3.0 charging port in favor of a more traditional, and much more streamlined, MicroUSB 2.0 port. Samsung is also unveiling the Galaxy Note Edge, a separate version of the Note with a display that curves over one side of the phone.